Behror, India: Ratan Kumar once battled India's brutal summers with damp bedsheets and midnight baths. Now he is among millions upon millions of Indians using air conditioning - helping make the world hotter still. India is already the number-three spewer of greenhouse gases, burning through 800 million tonnes of coal every year - and the predicted AC boom could mean the country would have to triple its electricity production to meet demand, experts say. "Summers make our life miserable," said Kumar, a 48-year-old laundryman earning $225 (Dh826) a month who this year installed an AC unit in his two-room house in the town of Behror in the baking-hot desert state of Rajasthan. 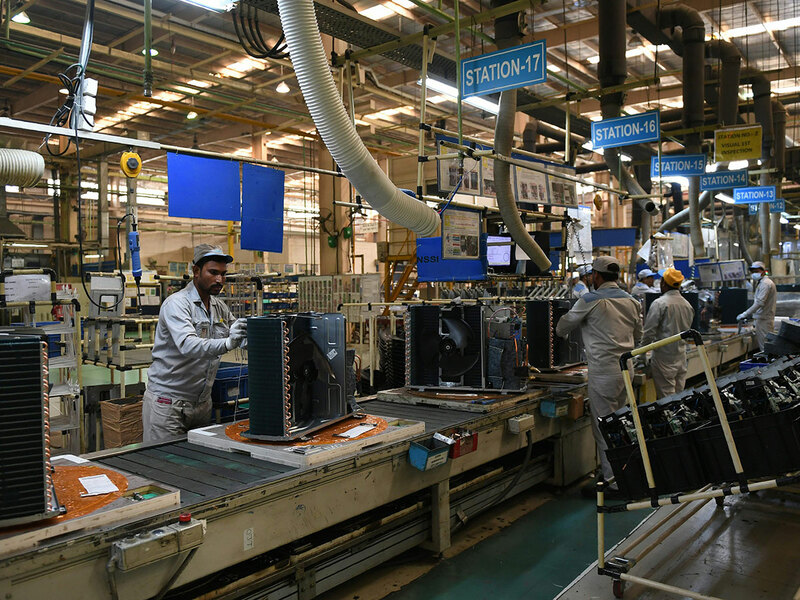 Currently just 5 per cent of Indian households are equipped with AC compared to 90 percent in the United States and 60 percent in China, up from virtually zero 30 years ago. In addition, studies - including by the World Health Organisation and UN-Habitat - show that the heat-generating motors inside AC units can themselves push up temperatures in urban areas, where the appliances are widely used, by a degree or more. These include ceiling fans or air coolers - a fan-run device that blows cool air off water-soaked pads, which are often a haven for disease-carrying mosquitoes.